Toyota may have built one of the ugliest cars on the road with the 2017 Prius. The car looks ok from the sides, but the bizarre front and rear ends leave the car funky looking to most eyes. The goods news is that the Prius still gets fantastic fuel economy and that is enough for Prius loyalists to continue buying. Toyota has given the Prius buyers out there even more reason to purchase with a price cut for the 2017 base model Prius. We can thank Hyundai’s attractive Ioniq for putting pressure on Toyota. 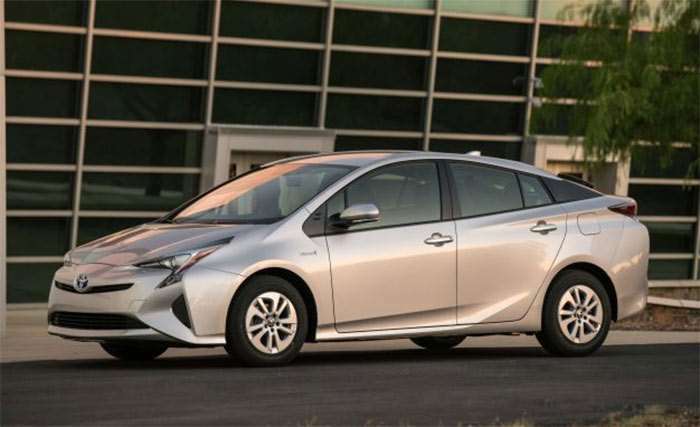 The Prius One is a new trim level that starts at $24,360. That still makes the funky Prius a lot more costly to purchase than a base Hyundai Ioniq Blue. That car starts at $23,035 making it still $1325 cheaper than the new Prius One. The Prius One is also higher priced than the Kia Niro that starts at $23,785. Prius One gets automatic climate control, cruise, backup camera, forward collision warning and lane departure. Prius One buyers don’t get a spare tire, rear wiper, or seat back pockets.